The Robert E. and Evelyn McKee Foundation has awarded the New Mexico State University Library the 2015 McKee Foundation grant of $15,000. The award allows the NMSU Library to purchase the entire contents of ENGnetBASE, which consists of over 3,000 e-book titles covering civil, electrical, industrial, mechanical and mining engineering subject areas. The Clyde W. Tombaugh Collection has started to be digitized for online access at the NMSU Library. Tombaugh, best known for his discovery of Pluto, spent the majority of his career in New Mexico and helped establish the astronomy program at NMSU. The digitization project, supported by a generous NMSU Library donor, will be done in three phases – personal and professional papers, oversize materials (including maps and charts), and photographs. 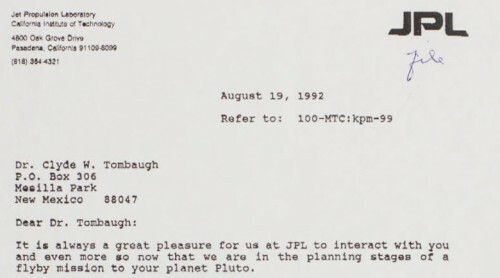 This summer NMSU Library’s Ingrid Schneider, Meta Data Librarian, and Nathan Brown, Digital Projects Librarian will start by tackling the personal and professional papers which will highlight Tombaugh’s observation notes, writings, and global correspondence. 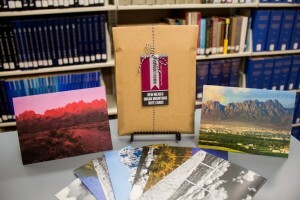 Whether you’ve grown up and love the Las Cruces treasure of the Organ Mountains, or want to share the unique vista with those in different corners of the world, the NMSU Library now offers a set of 13 note cards highlighting various Organ Mountain images. For $9, enjoy thirteen photo note cards of the Organ Mountains. Photos range from historic shots from various NMSU Library Archive Collections and contemporary color photos from University Communications and Marketing Services. Photo descriptions are on the back of the cards, with the inside left blank for your messages. Celebrate the natural beauty that surrounds Las Cruces and a lasting monument in our community. The NMSU Library has been awarded a $3,322 grant from the United States Agricultural Information Network (USAIN) Digital Libraries & Preservation Committee, as a part of Project Ceres. The NMSU Library’s project title is, “Selected Poultry, Fruits and Vegetables, Cotton, and Livestock Serial Publications of the NMSU Agricultural Extension Service and the Agricultural Experiment Station.” This is the third award in three years that the NMSU Library has received from USAIN, in collaboration with Agriculture Network Information Collaborative and the Center of Research Libraries.